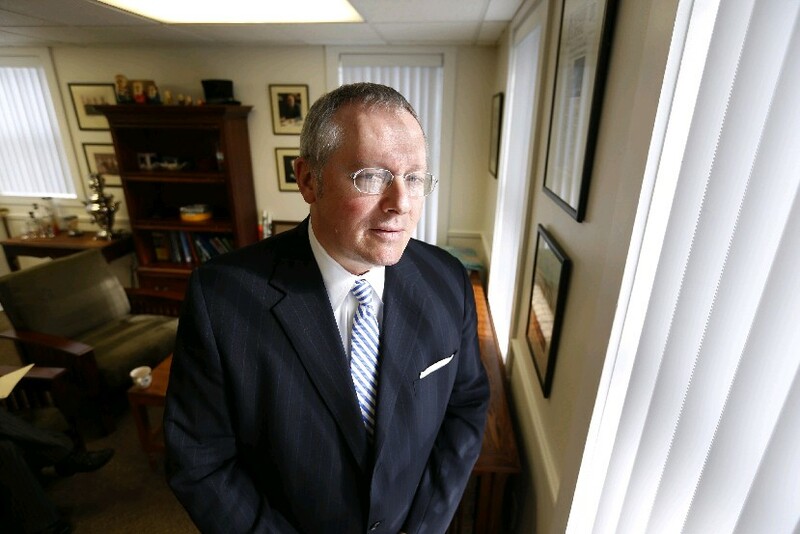 On Monday morning, Michael R. Caputo was preparing for the lofty role of coordinating all media communications at the Republican National Convention in Cleveland that begins on July 18. By Monday afternoon, the veteran political consultant was headed home to East Aurora. He resigned from Donald J. Trump’s presidential campaign after mocking the early Monday firing of campaign manager Corey Lewandowski. Almost immediately after news of the Lewandowski dismissal broke, Caputo took to Twitter: “Ding Dong the witch is dead,” he tweeted, complete with a “Wizard of Oz” image. The tweet hadn’t been deleted as of Tuesday morning. After working on four presidential campaigns over his career, he told The Buffalo News late Monday he knew he had made a mistake that would cost him his job. Caputo, 54, had been drafted by the Trump campaign earlier this year after he assumed a top communications post during the spring presidential primary campaign in New York State. After New York became the center of the nation’s political interest for weeks, Trump’s smashing victory in his home state elevated Caputo even further into the campaign hierarchy. Caputo, who over the past several years often filled in as a talk show host on WBEN Radio, remained in Trump’s Manhattan headquarters for several weeks after the primary before recently heading to Cleveland to prepare for the July convention. He was expected to join several other campaign staffers from Western New York recruited to work the July conclave and eventually assume a key communications role during the upcoming general election effort against Democrat Hillary Clinton. But it was obvious that Caputo never clicked with Lewandowski, and was seen by most observers as closer to Paul Manafort, another top Trump advisor who recently joined the campaign. On Monday, he admitted as much, comparing the situation to a chemical reaction. But Caputo also acknowledged that the mistake cost him his job, and immediately sent a letter of resignation to Manafort and fellow Trump official Rick Gates expressing his regret. “In hindsight, that was too exuberant a reaction to this personnel move,” he said in his letter. “I know this is a distraction from the kind of campaign you want to run, so I’m resigning my position. Even weeks ago, other sources and press accounts hinted that Caputo was caught up in the struggle between Lewandowski and Manafort. Indeed, several reports portrayed the Trump campaign as split between the Lewandowski and Manafort camps, with Caputo seen as a Manafort loyalist following a relationship dating back 30 years. Caputo also boasts a long political connection to veteran political consultant Roger Stone, who has been close to Trump for years. That relationship helped pave the way for Caputo’s connection to Trump, especially after being part of an upstate-based team that unsuccessfully sought to persuade him to run for governor of New York in 2014. Caputo was the subject of a March 5 profile in The News outlining a long career that included stints working in Russia and living on a tugboat in Florida. Caputo is best known in New York State as spokesman for Carl P. Paladino’s unsuccessful Republican campaign for governor in 2010. Robert J. McCarthy – Robert McCarthy joined The Buffalo News in 1982 and has been political reporter since 1992. A native of Schenectady, he graduated from St. Bonaventure University.